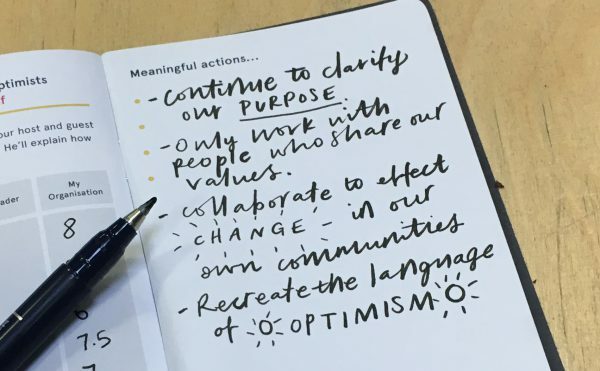 Inspired by Meaning 2017, we explore eight ideas on practical positivity – and measure ourselves against them. We’ve been doing some soul searching as an organisation. Looking into the mirror that we hold up to clients in our daily work, we asked ourselves some challenging questions. Does our sense of purpose reflect what our world needs? Does it fit with our individual beliefs and ambitions? Is it achievable? Is it good enough? Inevitably some of the answers will take time to fully emerge. But in reappraising our own reason for being, we felt a renewed optimism: one grounded in helping others to keep their vision for a better world alive. Optimism, purpose, perseverance and adaptability. 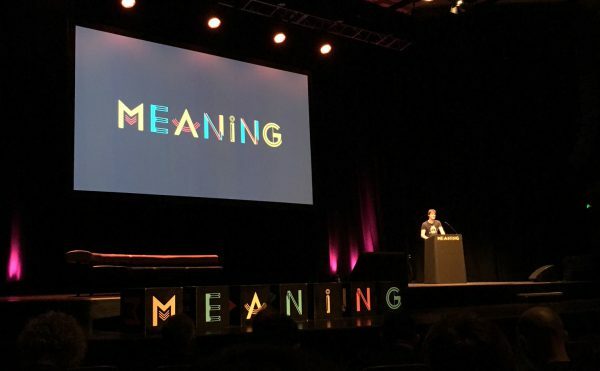 These were the themes we felt resonate through this year’s Meaning Conference in Brighton. It would be easy to resign ourselves to the “blood-dimmed tide” of cynicism threatening to snuff out our dream of a decent society. A couple of pints in the pub is all it takes to see that the world is f**ked, as author and futurologist Mark Stevenson joked in his opening speech. Mercifully the tone of the gathering lifted as Stevenson went on to introduce some truly inspiring heroes of social and environmental enterprise. Shining beacons of humanism, innovation and sheer resilience. Listening to their stories of action was a pertinent reminder that defeatism breeds indifference, and that each and every one of us who wants positive, meaningful change is responsible for making it happen. Disgusted by the child-slavery pervading chocolate production, Dutch investigative journalist Tuen van de Keuken went to great lengths to draw the world’s attention to it. Specifically by taking himself to court as a colluder in chocolate crime (through eating several offending choc bars). But the case failed: the bars he ate couldn’t be linked to specific cocoa growers. So he founded Tony’s Chocolonely – chocolate made with fully traceable, slave-free Fairtrade cocoa – and discovered that the best way to stand against something wrong is to do something right. The lesson: optimism is only useful if you do something with it. This demands from all of us the vision and perspicacity to see what is otherwise beyond ourselves, and the energy and compassion to put it into practice. Optimism is in our blood. We wouldn’t be doing what we do if we didn’t think it was worthwhile. 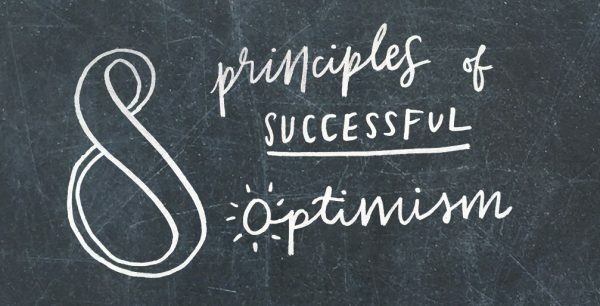 As a creative team that helps charities, not-for-profits and sustainable businesses build their brands around social and environmental purpose, we’re on the side of the optimists. Consequently, our faith in humankind goes with the territory. But there’s always room for bigger or different ways of thinking. Our commitment to the Teal principle of evolutionary purpose helps us to avoid becoming too comfortable. We constantly explore and challenge ourselves with the intention of making our vision, and those of our clients, matter more. Most of what we do, if we consider the impact, is bigger than us. Over the past 15 years, we’ve worked with some of the world’s most ambitious organisations: game-changers in healthcare, human rights, the environment, education, global development and equitable trade. We believe in collective intelligence and expertise. We find that co-creating with clients usually leads to the best creative outcomes – and communications they really get behind. And we collaborate with our peers when a project’s scope requires a skill-set broader than our own. 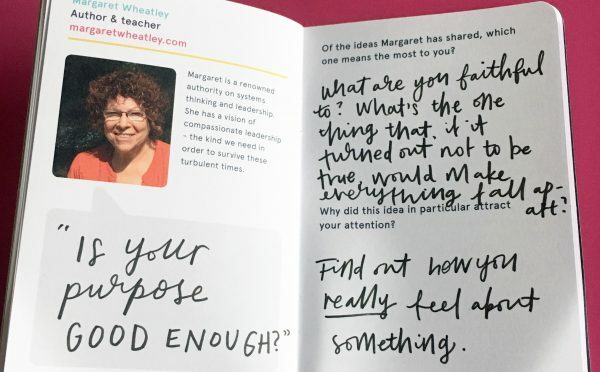 If you want to change the world, proposed Wheatley, try starting with yourself and the world immediately around you. This is the insight that prompted chocolate pioneer Tuen van de Keuken to turn protest into productivity. And for Zoe Nicholson to shift her efforts from the upper echelons of the NHS to reinventing public-health services at Here in Brighton. Emerging from “the mist of motherhood”, our Becky imagined how great it would be to have a craft-loving parents group: a space to resurface and reconnect through creativity, as well as enjoy a bit of adult conversation beyond the nuances of organic nappy-cream. So she promptly started one (more on that in our next blog post). Constantly challenging the ‘safe’ approach in creative communications can be tiring, and rife with pitfalls. But sometimes those pitfalls offer a golden insight that leads to the right outcome. This was the approach we took, somewhat fittingly, when working on a campaign for the UK Commission for Employment and Skills (UKCES). We found that making mistakes was essential to the brief, in terms of testing out different ways of using social media to extol the benefits of employing young people. It demanded from us, and our clients, a leap of faith. Had we not taken that jump, we would never have achieved the fantastic reach we did. We can all contribute to a culture that embraces mistakes as freedom to learn rather than fail. Carl Jarvis of the groundbreaking Hartsholme Academy is among those asking the same of our education system. Instead of hardwiring children to play the game and win, Hartsholme encourages them to take the risk in doing, and thinking, something different. This is the kind of schooling we’d like to see more of. We’re firm believers in creating our own good fortune. There’s being open-minded and receptive to what comes your way, then there’s being active in seeking out ‘happy accidents’. We like to think we do the latter – we look for challenges we can convert into opportunities, we regularly invite silliness into our lives, we talk to strangers and we try to stay young at heart. A particularly heartwarming story from the conference springs to mind here. Humanitas, a home for older people in Holland, has cleverly and serendipitously opened its doors to students. Young people can trade their time and attention for affordable accommodation – and, in the process, contribute to a mould-breaking approach to healthcare and community. It’s an idea that not only solves an unjust economic problem. It also bridges generations, addresses loneliness and asks older people how they might still like to contribute to the world. When the winds of change blow, some people build walls while others build windmills. How exquisitely this sums up the creative adaptability of the optimist mindset versus that of certain world leaders. This mindset is precisely what’s driving purposeful enterprise to create products and services that are regenerative, not just sustainable, by design. A concept that radical economist Kate Raworth advocates with astounding elegance in her Doughnut Economics theory. We tried to practise this way of thinking on reaching a crossroads with Neo about a year ago. Some of our core team members began breaking away to do their own thing. But rather than reform around our old model, we decided to open out our studio as a co-working space – and collaborate more with the growing freelance community around us. We interpret this as staying true to our values and believing in what we do. It’s the driving force of principle #3 – ‘we are what we do’ – and is demonstrated every day by charities such as the courageous Médecins sans Frontières. If picking up the pieces of human conflict wasn’t difficult enough, they also have to sacrifice potentially life-saving donations from institutions. Why? So they can safeguard the integrity and neutrality of their medical aid across the globe. We try to practise this principle in our own work: by encouraging organisations to embrace their purpose from the inside out. For us, playing the long game also means sharing our ideas for the greater good. Cooperating with others instead of giving in to the often corrupting powers of competition. While our current political and economic landscape gives us plenty of reasons to be hard-bitten, there’s even more justification for keeping our chins up. Cynicism can lead to prejudice, presumption and closed doors. It can dress up laziness as wisdom. It can divide us with disastrous consequences. In the wake of Brexit, we all saw how easily a narrative of fear and distrust replaced human empathy. We can go further than ourselves. As writers, designers and thinkers we can reclaim our medium from exploitation and manipulation. We can begin to reverse the dehumanisation of language by our fear-mongering political and corporate elite. And we can put our craft to good use by reframing and depoliticising conversations on how we can help one another and the planet. Cynicism, powerlessness and pity don’t make for great charity campaigns. Empowering people to make a difference, however small it seems, is how we can engender a sense of hope and galvanise action, little by little. Perhaps that’s one way of defining our purpose, and demonstrating our unashamed optimism and ambition about the future? Neo is offering half-day storytelling workshops in London and Brighton, tailored for communications professionals working in the non-profit sector. More of what matters straight to your inbox? We'll only email you when we have something really interesting to say. And we'll never share your details with a 3rd party.